Running a business can be very daunting. The problems seem endless and, unlike working with others, you have no one to turn to for help or advice. Well, yes you have! Other business owners are surprisingly helpful to the inexperienced entrepreneur. Any business problem you face will have been faced and solved by many others before you. All you have to do is seek them out and ask for their help. Look for places where other business people gather such as business clubs and networks offline or business forums online. Facebook and LinkedIn both have many business groups of all kinds and you will often find very generous help from other members. Sharing and exchanging ideas with other business owners is one of the best ways to learn and grow. You want to start or grow your own business or I guess you wouldn’t be here. But getting started these days isn’t easy and growing an existing business in the current economic climate can be a real struggle. Now I’ve been in business since 1978 and I’ve been through 5, yes five, recessions. I’ve seen 3 property price crashes, quite a few stock market ‘corrections’, large and small, and I’ve seen whole industries disappear and new ones appear. Boom and bust, doom and gloom, outrageous conspicuous consumption, cheers and tears, I’ve seen the lot. The interesting thing though is that, throughout all this, at any moment, someone was making money and someone was losing money! A boom can be a crazy, scary place to be and a bust can throw up some amazing bargains and opportunities, and right now is no different. The true entrepreneur knows his/her market and is constantly on the lookout for opportunities to serve that market. They can help their customers to enjoy the boom years and help them survive the bad times. Keeping a focus on what you can do to serve your customer well at all times and in all conditions will ensure not only business survival, but growth in both good and bad times. So, how can I use my experiences to help you? 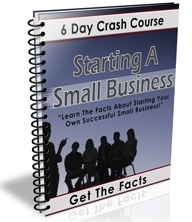 If you are trying to start a business, what is stopping you? If you are trying to grow a business, what is holding you back? If your business is struggling to survive, what are your problems? If you are achieving your goals and doing well, chip in with what’s working and what’s not and help those less fortunate readers.